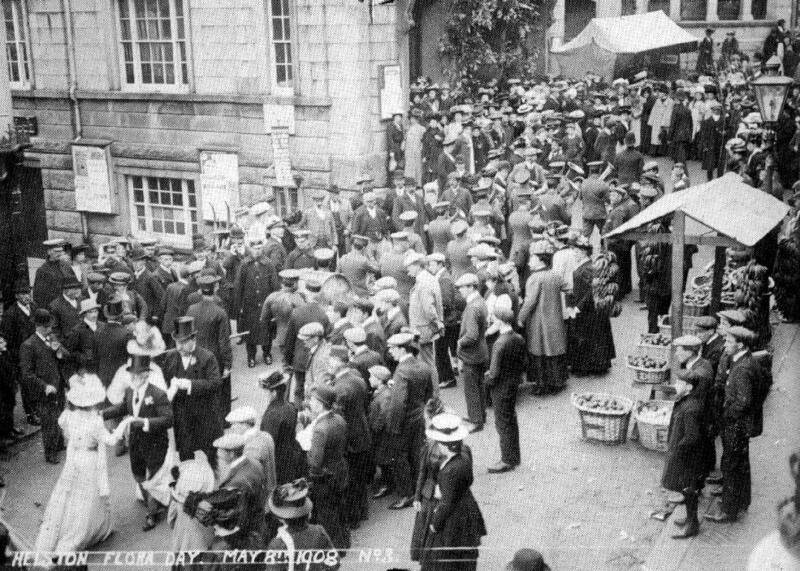 The Mid-Day Dance approaching its end outside the Guildhall in Coinagehall Street. Notice the traditional Flora Day Stall on the right. This one looks like it is selling fresh fruit.